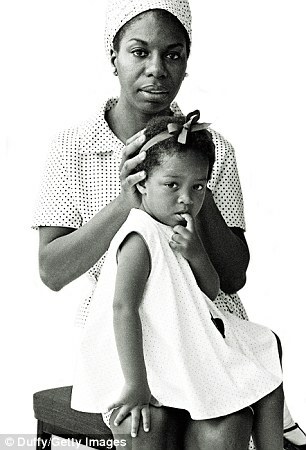 Nina Simone was an American song writer, pianist, arranger, and Civil Rights activist. She was classically trained at Julliard School of Music and was an accomplished in classical , jazz, blues, folk, R&B and pop. Nina lived from 1933 -2003 and recorded 40 albums in her long career. She loved to fuse gospel and pop with classical music and in particular with the master Johann Sebastian Bach. She was born and raised in North Carolina with her disapproving pastor father. He considered the music she preformed on the stage and in clubs to be “The Devil’s Music.” Nina Simone, though, pressed on following her musical dreams. This entry was posted in American history, jazz, music, Uncategorized and tagged blues, Civil Rights Activist, folk, jazz, musician, Nina Simone, R&B. Bookmark the permalink.